MOUSE OVER for processing by Edoardo Radice. Click on the image for a high res version. Or look at the highres processed by Edoardo Radice. 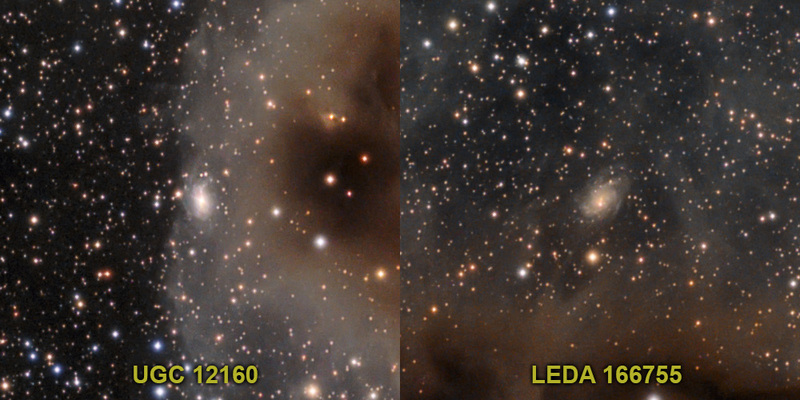 At +75° North some treasures of Cepheus are hidden and only very long exposures are able to capture all the faint details and subtle colors such as this "Lynds Dark Nebula" LDN 1250 (left) and LDN 1246 (right). 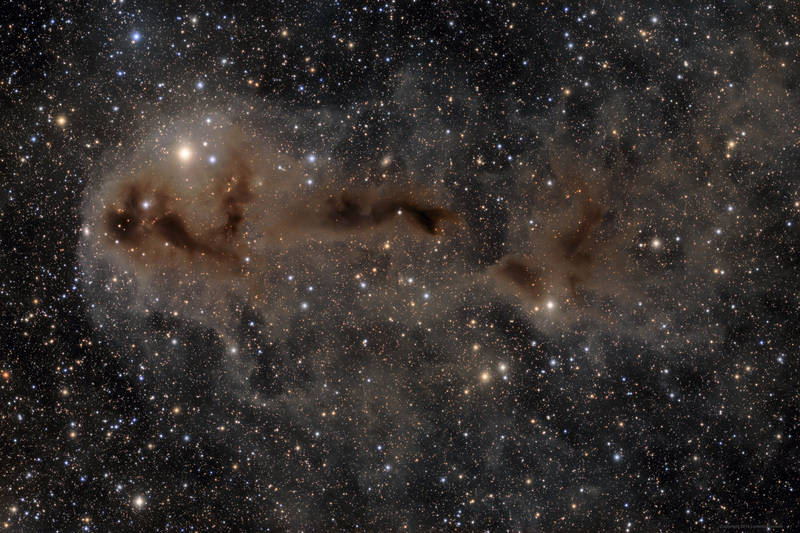 Both are encircled with the light of the "Lynds Bright Nebula" LBN 558 (in truth not so bright...). In the middle a galaxy is partially covered, LEDA 166755, mag. 15.9. On the left side instead is present the galaxy UGC 12160, mag. 15.5. Both are better visible in the 100% details below. I imaged this nebula during 4 nights at Colle dell'Agnello (Italian Alps), and I collected more than 13 h of exposure. 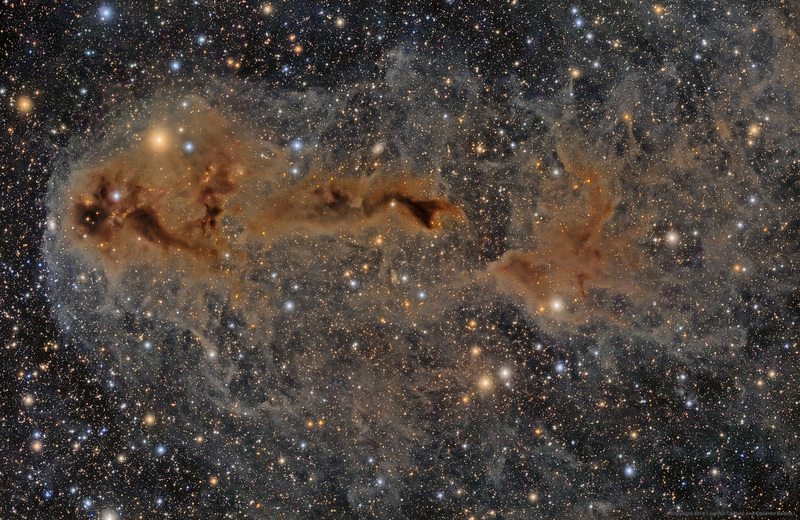 NOTE ABOUT PROCESSING: I would like to thank Edoardo Radice for re-processing my raw files with PixInsight and obtaining a much more detailed view of this field. Look also at his post on Astrobin.